Express Entry rank applicants in the pool practicing a points-based system described the Comprehensive Ranking System (C.R.S). Canadian Government choose the leading ranking applicants from the pool and ask them to appeal for permanent residence. Compare your score and then use this data to see how likely you are to receive an invitation in the subsequent round. Ministerial Instructions regarding I.T.A for permanent residence below the Express Entry system. 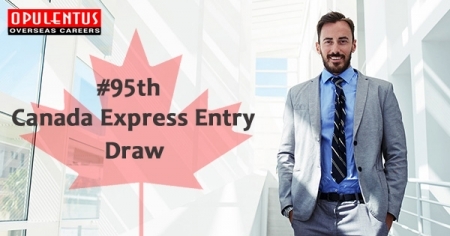 If more than one applicant has the lowest score, the cut-off depends on the date and time they presented their profiles of Express Entry.